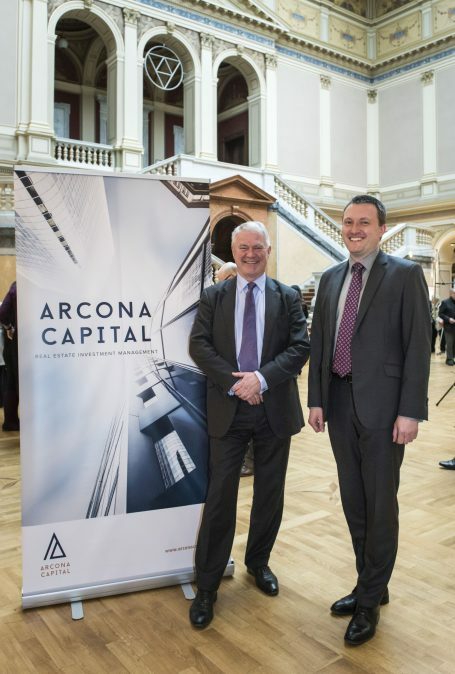 Arcona Capital, an independent property fund manager operating across the markets of Northern and Central Europe, announced it has become one of the partners of the Czech Philharmonic for the recently opened season of concerts. It symbolically coincides with the year of the 100th anniversary of the founding of the Czechoslovak Republic. The announcement of the partnership with the most significant orchestra in the Czech Republic follows Arcona‘s exceptional business year in 2017. Arcona Capital was introduced as the new partner of The Czech Philharmonic Orchestra for 2018/2019. Thereby, Arcona has joined the 123rd concert season of the first Czech orchestra, led by the Chief Conductor and Music Director Semjon Bychkov. a program with renowned conductors and soloists to the listeners, as well as improving the facilities and conditions for the people of the philharmonic,” added David Mareček, CEO of the Czech Philharmonic. a building on Drahobejlova Street in Prague 9 to the Czech Medical Chamber.